There is no way to describe the African experience to others when you return. When my family wanted me to talk about it I didn’t have the words—“you just have to go there”, was my response. They wanted a way to share in the trip and were all eager to participate in the 26 day challenge for Carolina for Kibera as a way to “travel” there in a small way. When Christine Catlett, founder of One Way Out, returned from her trip she felt the same and was determined to return to Dago with her family and the next summer she did! Now, One Way Out is a family affair. She returned with her husband, Sam, and two children; Marley, 14, and Dylan, 16. 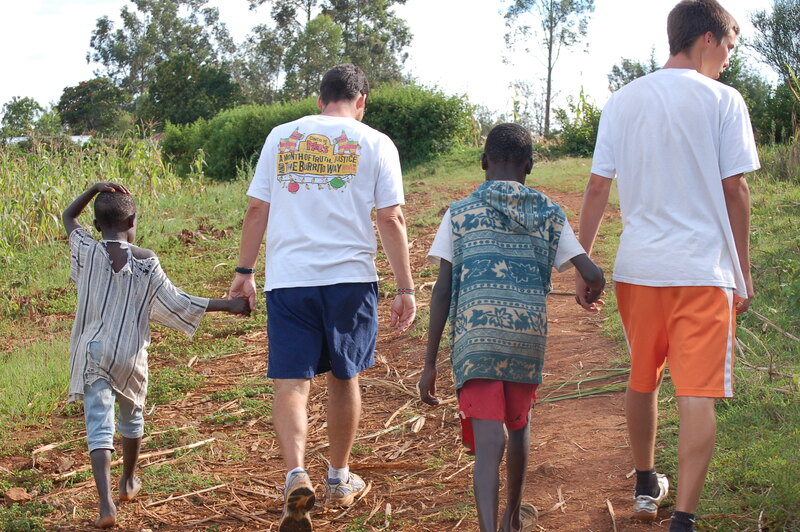 Life-changing is not a grand enough description for how this trip launched them forward. Marley has since returned two times and raised over $1,000 for the organization through fundraisers. Her senior project last year was a preschool/kindergarten curriculum introducing the similarities and differences between the students here and in Africa. During the 5 lessons the students collected change for their peers on the other side of the world. How awesome is that? Marley is currently in her first semester now at UNC-Chapel Hill and has already taken the steps to create a One Way Out College Chapter. Her Swahili professor has agreed to be the advisor and she has set a goal to take a group of students to Kenya next summer. Obviously Marley was passed down some of those “take action” genes from her mom! Christine’s son, Dylan, has also returned one more time since the first trip. He and Marley share a sponsorship for one student and he recently has asked to sponsor one on his own. This is a college student giving up some of his play money—I love it! I know that having a supportive husband is key to being a successful advocate. Christine is lucky like me, I have Randy and she has Sam. Sam is a board member of One Way Out and present at all of the events. His (com)passion matches that of the rest of his family. They are truly a family of world changers. At first I was quite intimidated by their awesomeness, but after spending time with them I learned that they are no different than the rest of us. They work, go to school, volunteer, garden, walk their dog, and in addition to all that are educating a village. I guess it is time for the rest of us to get busy.